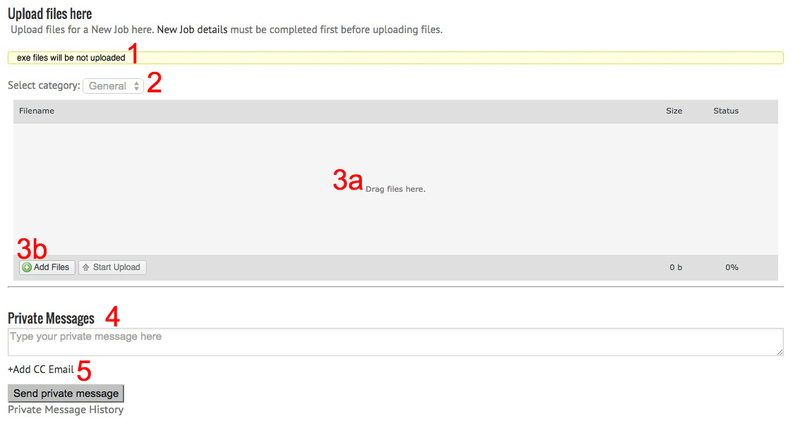 These notes apply to the upload page and are indicated on the screen captures below. EXE files are not allowed. Select your category. General or Rush. Rush jobs may have an additional fee. Please discuss with Kim or Mike. The system has been tested up to 200 mb file size. For extra large files use the FREE We Transfer website. Nevada county clients use kim@therealgraphicsource.com as the We Transfer notification email address. all others use mike@gvblueprint.com as the We Transfer notification email address. Return to the upload page.